The Law Offices of William T. Wilson, Ltd., is dedicated to providing quality representation to injured citizens. We strive to give personalized attention and representation to all of our clients, regardless of the size of their case. 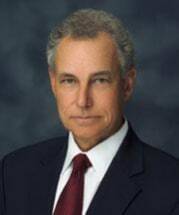 William T. Wilson has maintained his practice in Bell County for over 35 years and has significant trial experience handling personal injury and death cases in all surrounding counties in Texas. William T. Wilson is Board Certified in Personal Injury Trial Law by the Texas Board of Legal Specialization. A staff of qualified and competent people will assist you in every way to provide attention and response to your needs. Other areas of practice provided by the law offices are in the following areas: Probate, Estates and Wills- Guardianships and Real Estate. Civil litigation for consumers, product liability, premises liability, medical malpractice, nursing home negligence, construction place accidents and workplace accidents with third party liability.